Welcome to Birdbell. We are so happy you're here and we can't wait to hear all about your wedding day! Who are we? We're Deanna and Brett, the married creators behind Birdbell. We created Birdbell because we wish this had been available when we got married. Sadly, it wasn't and while wedding registries have come a long way over the past few years, they are still a lot of work to put together. Good news is, we're here to help. Do you want an amazing wedding registry? Of course you do, what a silly question! 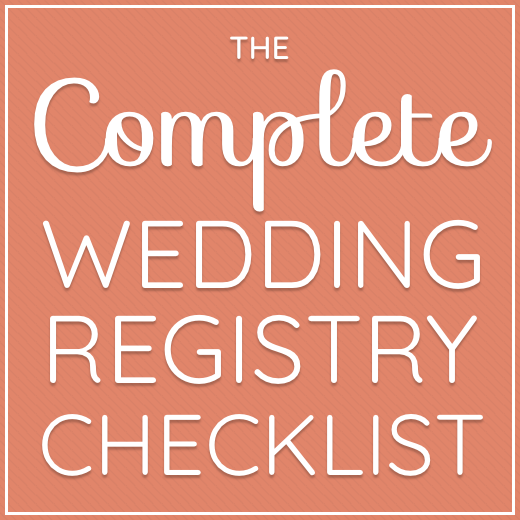 But, if you're like many couples, you may not have the time to create the registry you dream of. Here's how traditional wedding registry creation goes. You plan for a day shopping at your favorite stores together. You both start out excited; giddy almost. After almost an hour of talking with the store clerk, you are finally set up and they send you on your way, but not before they try to sell you on the latest and greatest gadget or gizmo. You're both already a little worn out and you haven't even started yet. Then, you start to pick out your gifts. Where do we start? Housewares? Dining? Should you get place settings for 8 or 12? How many baking pans do I need? There are so many items to choose from. Oh, that gadget looks fun. I always wanted this sparkly thing. Meanwhile, your significant other is off on the other side of the store picking out, who knows what. Sadly in 6 months you'll be opening boxes wondering why you have 5 different cake pans and not the things you really need. You'll find your first home together feeling cluttered and have to spend time returning and exchanging gifts instead of enjoying newlywed bliss. This is not what you had in mind when first started out. That's where we come in. Birdbell was created for couples that want an amazing gift registry without all the hassle. We help couples create registries they love based on their unique style, likes, and tastes. Lists are curated from the stores you already know and love like Amazon, Crate and Barrel, Etsy, Uncommon Goods, and more. Creating a universal registry makes it easy to see all of your items in one place, making shopping simple for your guests and management easy for you. We start by determining your signature style as a couple and then help you craft an amazing registry complete with everything you need. From there you can easily add, swap, and tweak as necessary from the comfort of your home. Share one simple wedding registry link with your guests and you're set. You can even customize your wedding registry page with photos and details about your wedding. Ready to dive in? Start by taking our quiz.